Geras is described as a loyal servant to Kronika and will be available as a playable character in Mortal Kombat 11. Kronika joins Geras as another new playable character in Mortal Kombat 11, though less is known about her fighting capabilities as of the time of this writing. Although, it’s worth pointing out that Kronika is shown towards the end of the story prologue trailer for Mortal Kombat 11. The Mortal Kombat 11 livestream revealed a brand new playable character, Geras. As highlighted in his reveal trailer, Geras is a competent fighter with abilities ranging from heavy hits to the creative usage of sand. The techniques that incorporate sand appear to be quite versatile as Geras is shown creating a clone of himself using sand along with various weapons including spikes and hammers. What’s more, Geras has great movement potential with the ability to teleport behind opponents for surprise attacks. This is emphasized by his finishing move where Geras phases in front of and behind his opponent landing several bone-crushing blows. 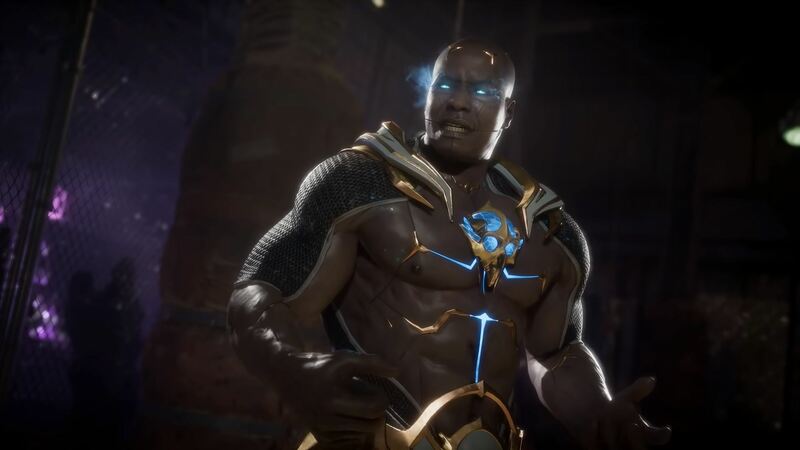 Geras already feels like he’ll be a contender for the S-Tier rank when we draft up our Mortal Kombat 11 tier list. Of course, we’ll have to try him out ourselves in comparison with the game’s other fighters in order to properly rank him. If you’re itching to give Geras a try, there are currently two options available to you. First, you can pre-order the Kollector’s Edition of Mortal Kombat 11 for PlayStation 4 or Xbox One to receive access to the game’s closed beta on March 28. Alternatively, if you’re uninterested in shelling out extra coin for the special edition, the game is available across all platforms on April 23. Looking at the trailer, what do you think of Geras? Do you think he’ll be one of Mortal Kombat 11’s overpowered fighters, or is he all show? Let us know down in the comments below! For more on Mortal Kombat 11, be sure to check out some of our previous features like the complete roster of confirmed characters in Mortal Kombat 11, the return of Skarlet and Baraka in Mortal Kombat 11, and our Mortal Kombat 11 livestream recap!